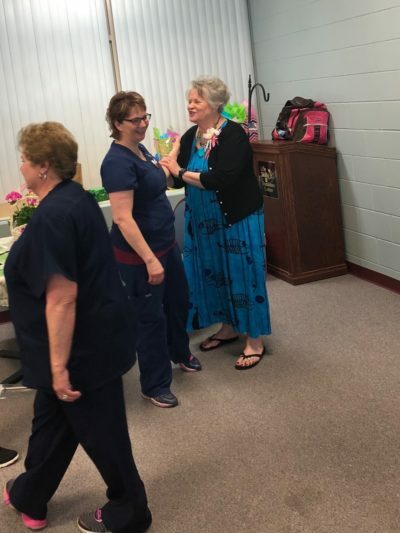 A Nurse and a Retirement | "Northern Crossings"
Gloria Gebur served at the Life Skills and Transition Center for over 40 years in multiple positions. 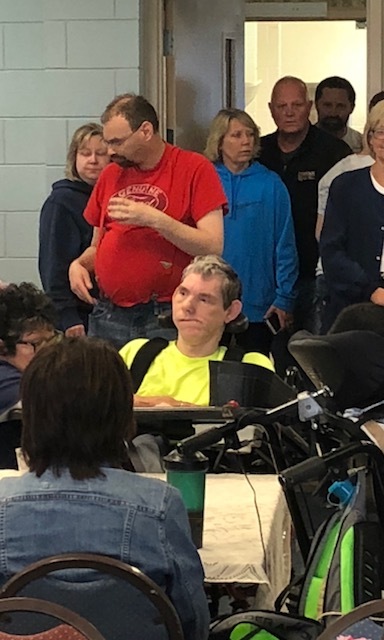 The staff and clients at the Center had a reception for her on April 30th. There was some great food and the afternoon was a wonderful witness to her dedication to staff and clients. 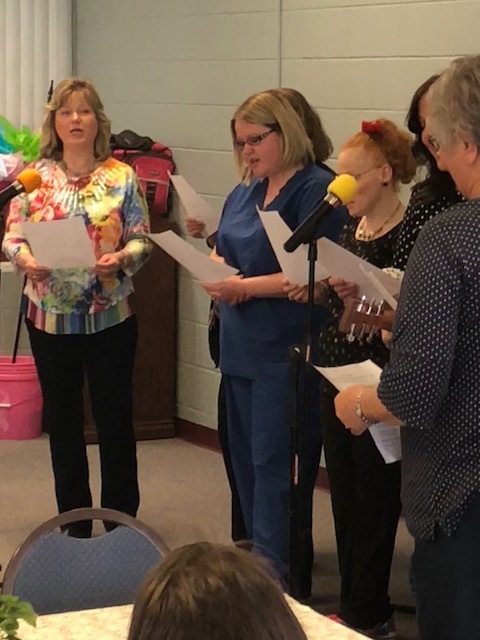 The staff also wrote and performed a special song for Gloria dealing with her out look on life, that “it will be OK”, and the belief that all things eventually work out for good to those who love God. Gloria showed her faith by her vocation and served God through that vocation which is as it should be. For Christians a job is not something painful and a paycheck is not something we receive for doing something we despise. It is a means for us to participate in the ways that, as Luther said, “God rustles around in the world”. We are his hands and feet. Gloria also served as our Parish nurse for many years. A parish nurse is a part of an LCMS Health Ministry which helps congregations care for one another by attaining, maintaining and/or regaining the best possible whole person health — wellness of body, mind and spirit—that can be experienced. Her service was and is appreciated. It was a great day. Congratulations Gloria and God bless you and keep you. PreviousThe Monotonous Plot of History.